Anyone else tired of old man winter? This is the look I’ve been rockin’ outdoors lately: the bundled ninja scarf wrap. Last night, I spent 2 hours after work shoveling the snow in our driveway just so that we could roll out our beloved 4 wheel drive SUVs in this frigid arctic hell. I didn’t think I would mind the snow so much, but all that changed when the car wouldn’t start this morning. This southern gal is not built for this kind of weather! Business has taken a hit and we are getting another downpour of ice, sleet, and snow as I sit and blog. The good news? Well, after working 8-10 hour days for over 30 days straight…I finally got to stay home and veg out. It was much needed. But it doesn’t take long before cabin fever sets in and I start feeling like the walls are closing in on me. How many hours can one sleep, netflix, youtube, and read before feeling the need to break out into the world? I was too lazy to make a snow man. I could have probably built an entire extended family of snowmen, women, and children with the amount of snow we’ve gotten this week. 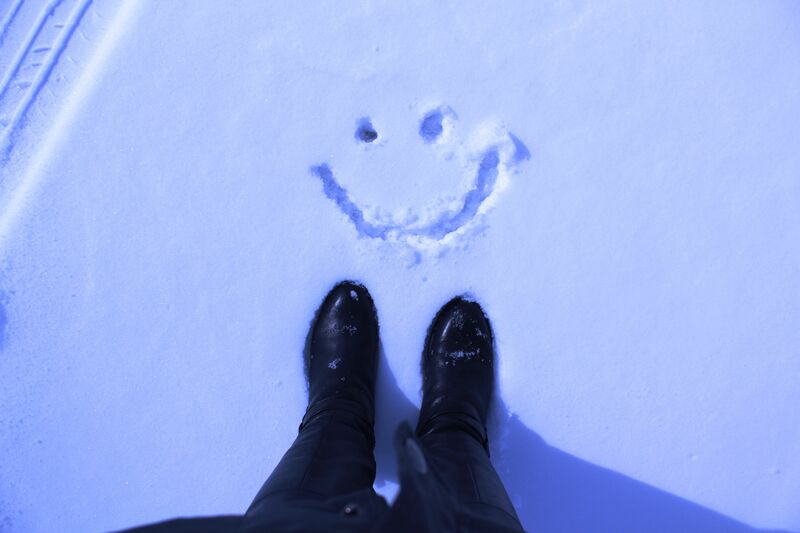 Instead, I drew a smiley in the white powder with my nearly frozen finger. It’s an indicator that things are looking up for me. I will reveal more with you guys as news will begin to unfold in the next few weeks. So check back here for some monumental updates! However, for now…the weather is still icy and my very near future is still indefinite. You know what is definite though? 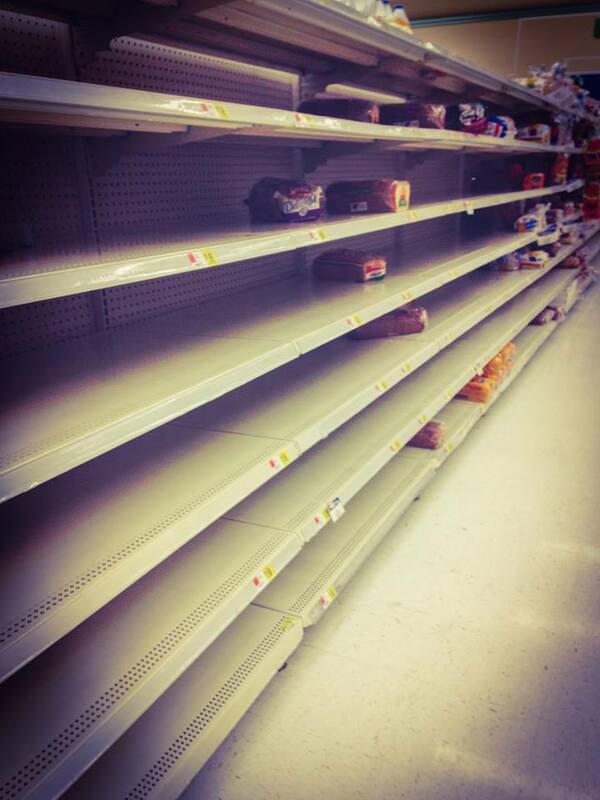 Cold weather= Clear bread aisles at the local supermarket. Where are you Sara Lee? This entry was posted in Uncategorized and tagged Arctic, CabinFever, Cold, Kentucky, Weather, Winter. Bookmark the permalink. I can empathize with you. Connecticut is in a deep freeze as I type this. It seems like forever with snow. Right this minute we have sunshine and some melting. I bet it has been way worse for the north east! Let’s hope it gets warmer soon!